Today on SocialPositives.com, we are listing Best Agile Project Management with Kanban. If you are not familiar with Kanban, it means Kanban is a scheduling system for lean manufacturing and just-in-time manufacturing. Taiichi Ohno, an industrial engineer at Toyota, developed kanban to improve manufacturing efficiency. When it comes to Project Management, Kanban is a visual system for managing work as it moves through a process. Instead of managing time or resources, you’ll manage a process, running every task through the same checklist or workflow. There are a lot of project management tools available on the web. If you are searching for Agile Project Management with Kanban, you are in the right place. Here we go with some of the best agile project management tool with Kanban. Kanbanize is an easy-to-use project and workflow management tool that helps you stay organized and have everything in the right process. It gives you the opportunity to plan and structure your work, filter out the noise and stay focused. Furthermore, the flow analytics engine of Kanbanize gives you the opportunity to enhance your overall efficiency and create a much more reliable process, based on real data. For better user experience, Kanbanzie is integrated with various tools such as GoogleDrive, OneDrive, Zapier, GitLab, GitHub, Slack, and others. 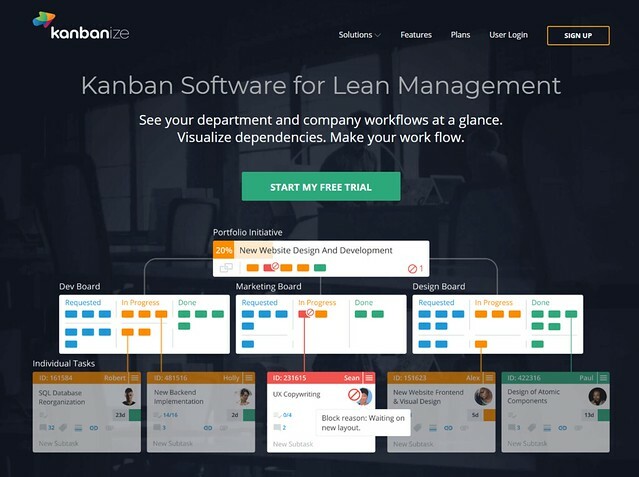 You can try Kanbanzie for free for 30 days. MeisterTask comes first on this list as the best project management with Kanban. Just use MeisterTask, I’m sure you will love that. 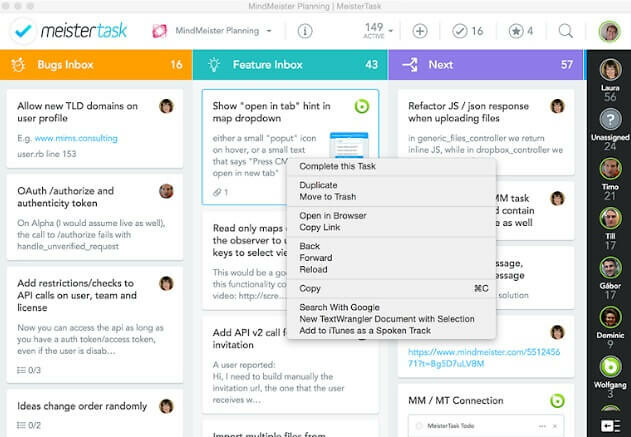 MeisterTask is free to use and comes with powerful integrations for Slack, ZenDesk, Office 365 Groups, MeisterTask for Gmail, Dropbox, Google Drive, etc. Trello is the most popular kanban project management tool on the web. Trello is simple and comes with a user-friendly interface. Trello is designed for the team projects. After you add in all the third-party integrations and plugins available, the options are endless. The cons on Trello is it took us a few tries to determine how to organize our boards most efficiently and there is a limit of 10 Mb file size attachment in the free version. Jira software from Atlassian is one of the software development tool used by agile teams. You can create user stories and issues, plan sprints, and distribute tasks across your software team. Jira software used by popular companies like Spotify, eBay, Airbnb, CISCO, etc. Jira Software priced $10 monthly flat fee special price for small teams for up to 10 users and $7 per user/month larger and expanding teams for 11-100 users. You can try Jira Software free for 7 days without Credit Cards. KanbanFlow comes next into our list. 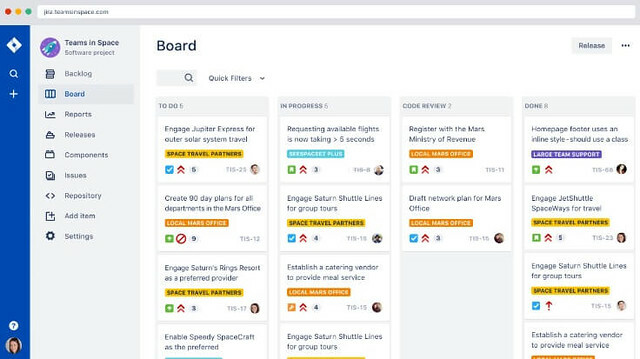 KanbanFlow gives you a clear overview of your current work situation. 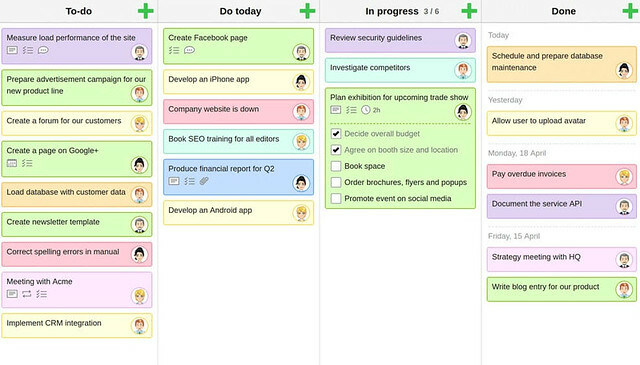 You can Get a better flow on your Kanban board by focusing on completing tasks instead of starting new tasks. You can easily import or export your workflow to Excel and others. KanbanFlow perfectly integrates with Dropbox, Gmail, Slack, etc. These are our Best Agile Project Management with Kanban to try in 2018. The list will be extended soon. Next Article How to Export Todoist to TickTick?